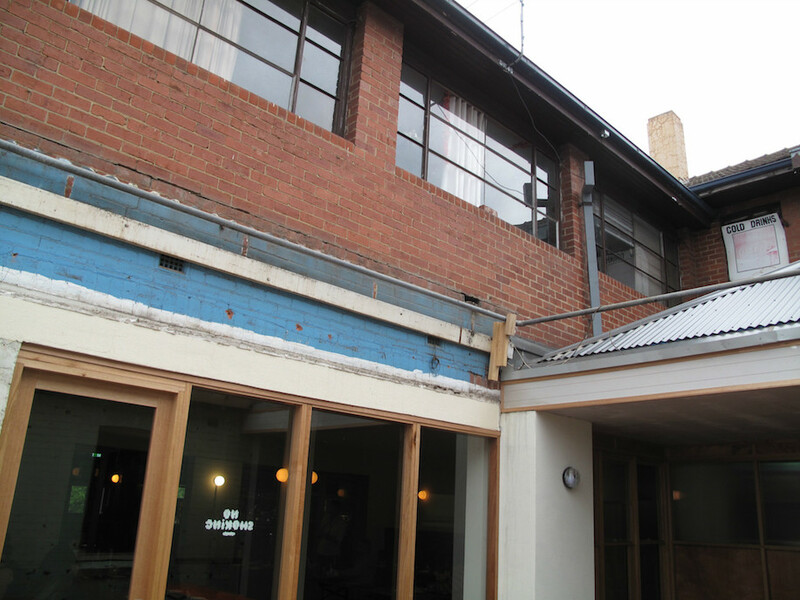 Like several others in Melbourne’s inner west in recent years, the Victoria Hotel has undergone a rebirth. 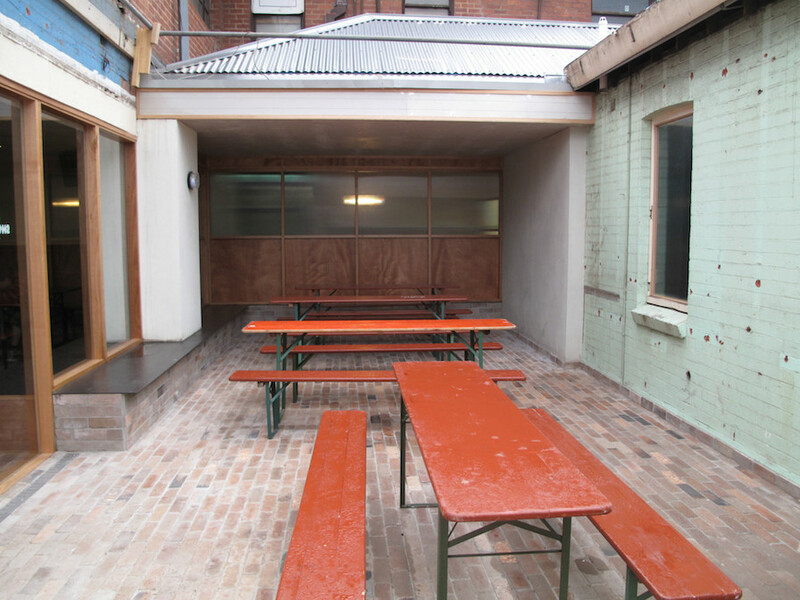 Often a lot of the interest and conjecture surrounding such enterprises is about whether the necessary makeover can be achieved while maintaining a down-to-earth pub feel. Our visit to the Victoria Hotel leaves us with a strong belief that those behind it have achieved just that – and with elan. In regards to this pub, I have a particularly personal perspective. 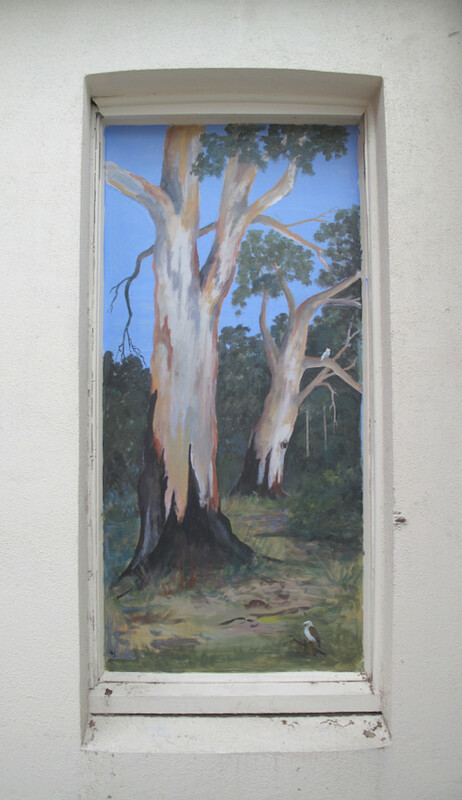 Before our now long and happy life in Yarraville commenced, we lived in Seddon. Middle Footscray was our train station and Hart’s – as it was then known (and doubtless still will be by many …) – was our local. We were, for a lot of that time, a TV-less household. 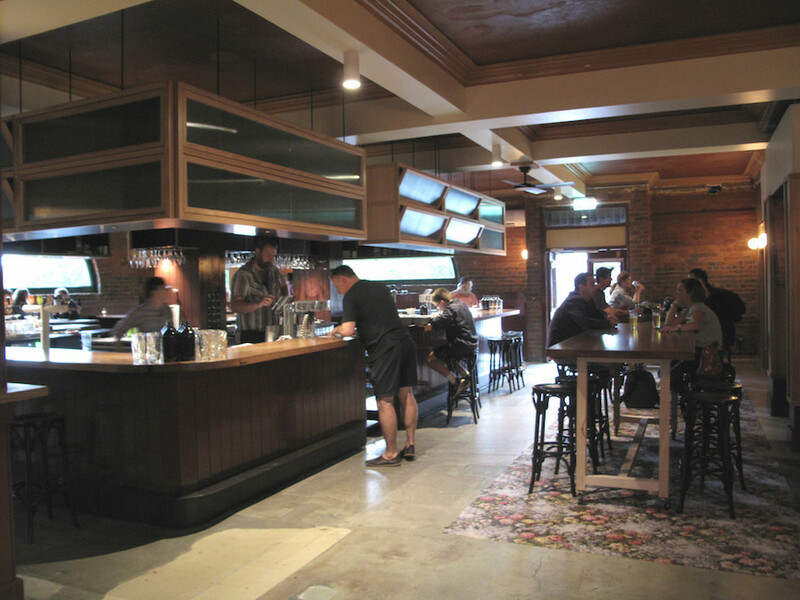 So I spent much time across the road at the pub, most of it watching games of the Melbourne Storm and All Black varieties, rubbing shoulders with many types born, like myself, on the other side of the ditch. In those days, we ate there on just a few occasions – with no great enthusiasm. From that perspective, I can only marvel at – and enjoy – the change that has been wrought. They’ve kept the basic superstructure in place and it shows. There is much dark wood and a central, rectangular bar surrounded by high tables and stools, with regular tables at one end. There is a single TV screen (not turned on during our visit) and the TAB facilities that dominated the place’s previous incarnation are no more. … some nifty old-school artwork. Here’s the bottom line: This place still reeks of pubbiness in a way that, for example, the Plough – a couple of blocks up the street – does not. 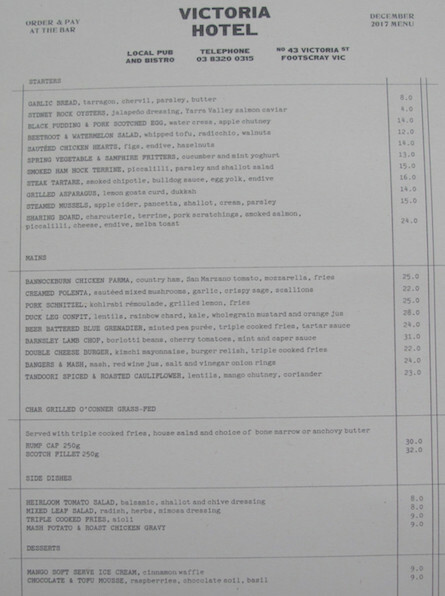 Likewise, the menu (see below) entices and excites us with what seems like a very savvy mix of pub tucker combined with deft tweaks. The price range is right in the pub zone, too, and thankfully there are none of those over-priced and silly nods to multiculturism that result in noodle dishes that cost in the high $20s. There’s a nice crowd in on a rainy Thursday night – most of them families – as we explore. As you’d expect, the garlic bread ($8) here is not your usual sloppy, foil-wrapped loaf. 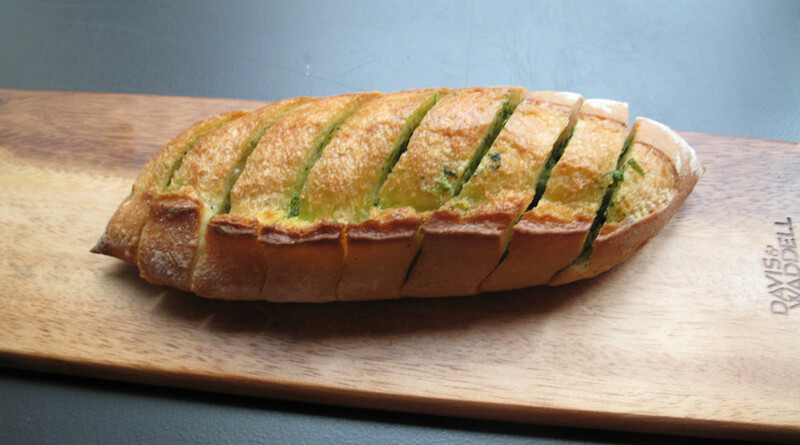 Here, the good bread is sinfully dripping with butter, tarragon, parsley and chervil. 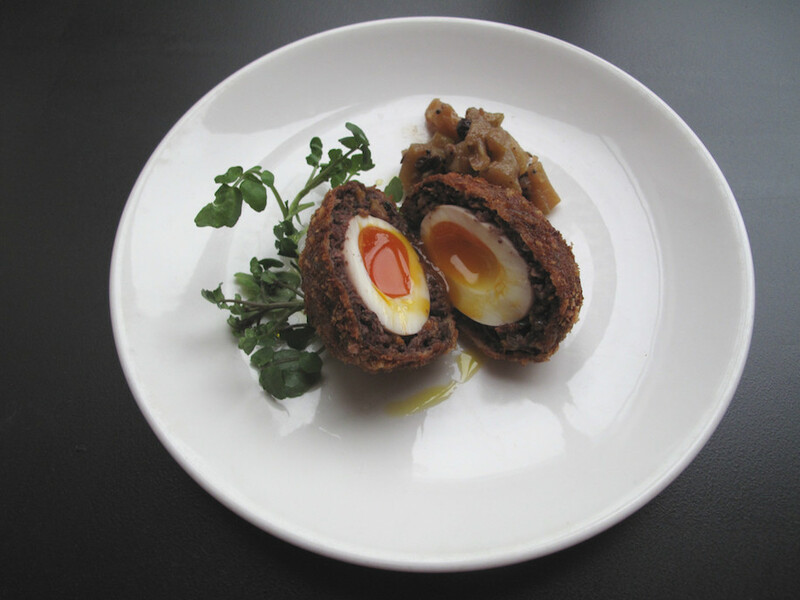 Nat loves his black pudding and pork scotched egg with watercress and apple chutney ($14). I am afforded a sample taste, finding it to be tasty but – OMG – preposterously rich. The spring vegetable and samphire fritters ($13) are a light delight, expertly fried and served with cucumber and mint yogurt. I have to look up samphire when I get home – according to Native Tastes of Australia, it’s a “native succulent also referred to as sea asparagus, swamp grass, salicorne, glasswort, pickleweed and sea beans”. 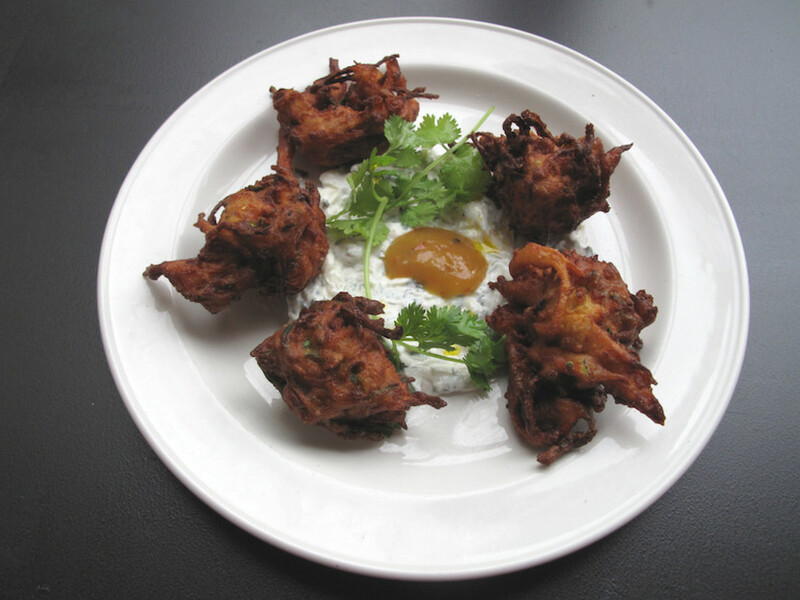 Had we known our fritters would be so similar to the bhaji we regularly eat in Indian joints, very much including the seasoning, we may not have ordered them. It’s a night out, so I am happy for Bennie to go on his usually chosen hamburger way. But he spies a couple of the double cheese burgers ($22) going by and worries that one of them will not be up to his sharp appetite. He’s very happy with his 250-gram $30 rump, cooked medium rare and served with fine salad, anchovy butter and triple-cooked fries. 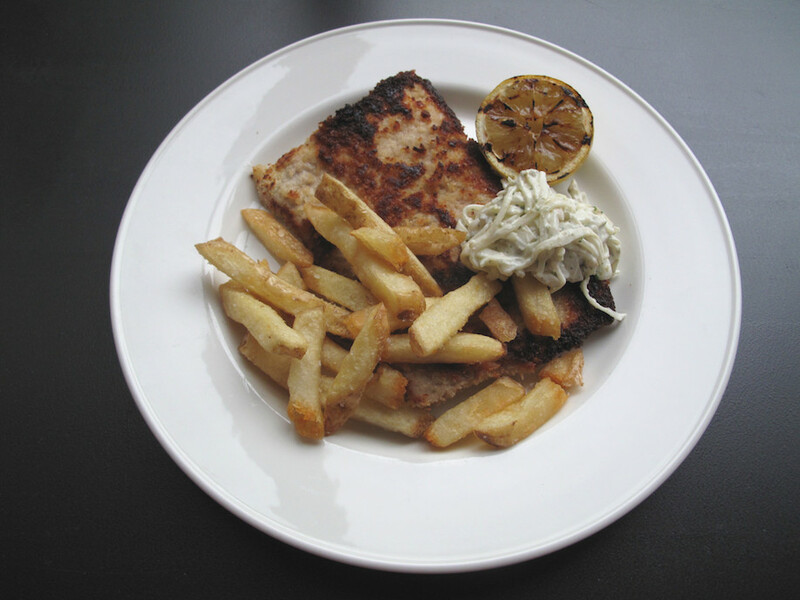 Nat and I both go for the pork schnitzel with kohlrabi remoulade, the same triple-cooked fries and grilled lemon ($25). Now, I like beautiful food, but regular readers will know appearances on the plate are not a high CTS priority. But it’s both surprising and beguiling to find our meals so determinedly monotone – lets call it dijon mustard yellow. A splash of colour would not go amiss! 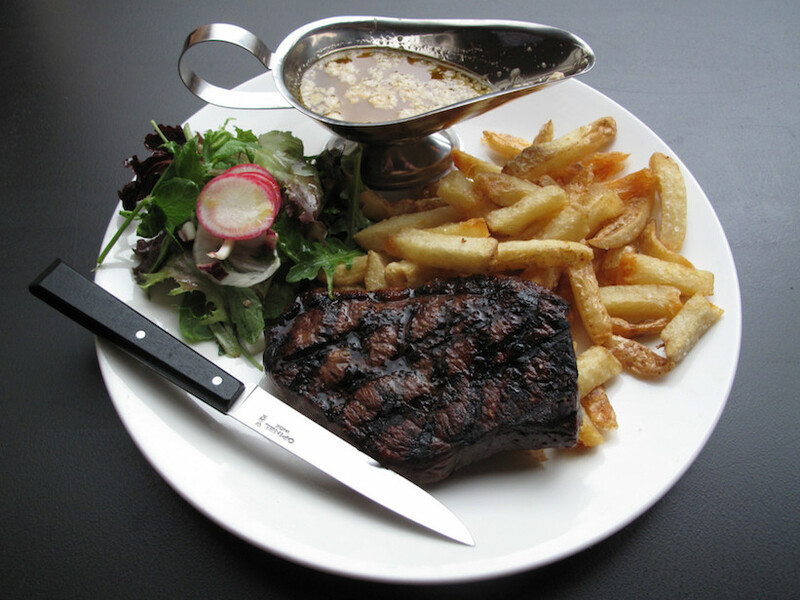 The key is in the eating, however – and in that regard, Nat and I enjoy our meals very much. The pork is quite thick – i.e. not hammered into wafer thinness – and juicy with wonderful piggy flavour. The salad – effectively a slaw – adds just the right touches of contrasting textures and tastes. And kudos to the Victoria Hotel crew for taking care of their own fries business in such a homely and fine way. Bennie and I had originally intended going on a mains-followed-by-dessert journey, but went in another direction when we discovered there is no coffee machine in the house. Fair enough – and perhaps, for some, that may enhance the place’s pub credentials. But we can’t come at sweet treats minus espresso. No matter – the three of us have had a swell time in a venue with enormous and immediate appeal. In days of yore, when there was a State Savings Bank in Charles St and one in Pentland Pde, the mixed grill at Harts was the crowd’s favourite. 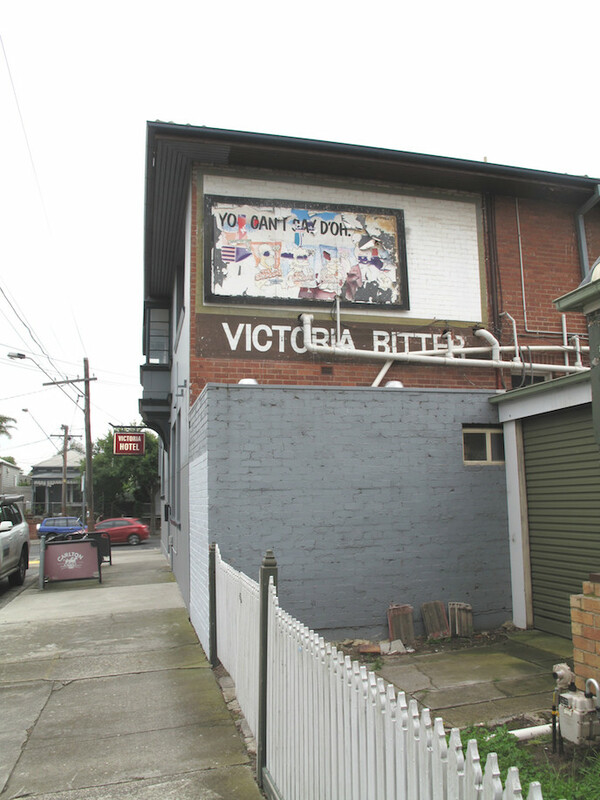 BTW, if you grew up in the inner west, there’s a good chance you wouldn’t know where the Victoria Hotel is. The loss of the Hart’s parmigiana can never be understated. We didn’t have the new parma – but those we saw, um, flying by looked pretty good. Have you tried? Dissapointed…I think they have missed the mark limited wine options overpriced organic wines? I love a quality wine length acidity and under $50 would be reasonable. Not quite ready for this hipster led organic wine movement. 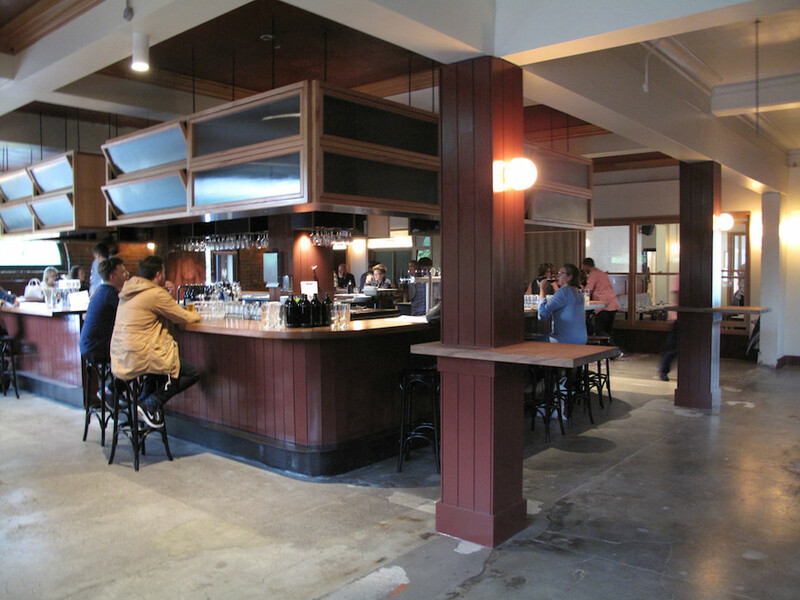 Tempted to try some eats although so far reviews are average at best.. there is a saving grace with carlton on tap …. Can’t say I have extensive experience drinking organic wine but what I have tasted tends to be insipid. It’s a bit of a worry when even publicans start pushing a particular agenda on their drinks list. It is bad enough when cafes etc stack their lists with all manner of obscure wines at ridiculous prices. The dudes and hipsters have much to answer for. Haven’t been there yet but just had a look at the wine list on their website. Only 2 out of 15 mentioned “organic” in the description. And 6 out of 15 were in the $50s or below for a bottle. Seems a fair spread of prices. Where did you find the wine list? I found a list on Zomato (https://www.zomato.com/melbourne/victoria-hotel-footscray/menu) and quite frankly I’d categorise it as overpriced rubbish. Are there any decent BYOs left on the planet that aren’t strictly of the Asian variety or pizza parlours? The drinks are the big disappointment. Schooners at pint prices and seriously what pub in the west doesn’t offer pints. The best way of expressing your disapproval is just don’t go there. Pablo, the wine list is one the pub’s website. As is the beer list. which is pretty standard for what you’d expect when you drink in a bar. Bars markup by around 100% compared to what you’d pay online or in a bottle shop. As for whether the wines are rubbish, I dunno. Haven’t tried any of the wines on the list so impossible for me to say. I finally found their website – the drinks list is the one I saw on Zomato. Your assessment of the markup is partially correct – except to say that the pub is not purchasing them on a retail price so in fact I would expect a much greater markup which in itself I don’t have a huge problem with. What I object to is the sheer stupidity of assembling a list that in all likelihood no one has ever heard of any of them and of course no informed knowledge of what they are purchasing. For instance, who goes to a pub in Footscray, Melbourne, indeed Australia to pay $56 for a Rose of indeterminate provenance? Or $65 for an Austrian rose? Or $75 for a 2016 Merlot when most wine drinkers prefer merlot to be part of a blend??? I could go on and on. I am an unapologetic aficionado of Australian wine. I know my wines. Where are the Coonawarra reds, Hunter Valley semillons, Clare rieslings, Barossa shiraz, Yarra Valley Pinots and Chardys???? There are many fine examples of wines that the pub could put on the list with their average markup and provide much better value for money than the crap they have chosen. I have never heard of any of their wines. Indeed only 5 are offered by the glass. I wouldn’t buy any of them. As for the beer prices, it is hardly the local boozer prices, not exactly out of this world but somewhat stratospheric. Thanks Kenny for giving us all the heads up so I will retain fond memories of the pub in my youth rather than be disgruntled with the current incarnation.